Use our text search to find just about anything. Tell us about your times along the US-12 Heritage Trail. 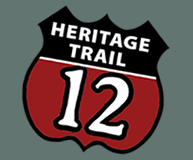 Read what others experienced on the US-12 Heritage Trail, then share your own story.